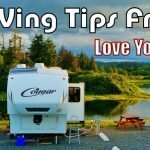 For nearly five years now I’ve been plugging away at the Love Your RV! blog. 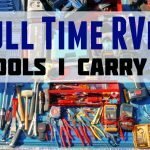 I’m passionate about RVing and love to share my experiences as a full-time RVer. Passing on what I’ve learned. It’s so rewarding to hear from other RVers telling me how much they enjoy the blog and how it’s helped them out. These days blogs are easier than ever to create and maintain. 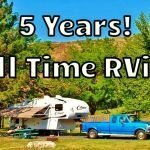 More and more RVers are using them to document their journeys and share information with others. I thought now was a good time to give back and share a few blogging tips. Concepts I feel are important in creating a successful blog. 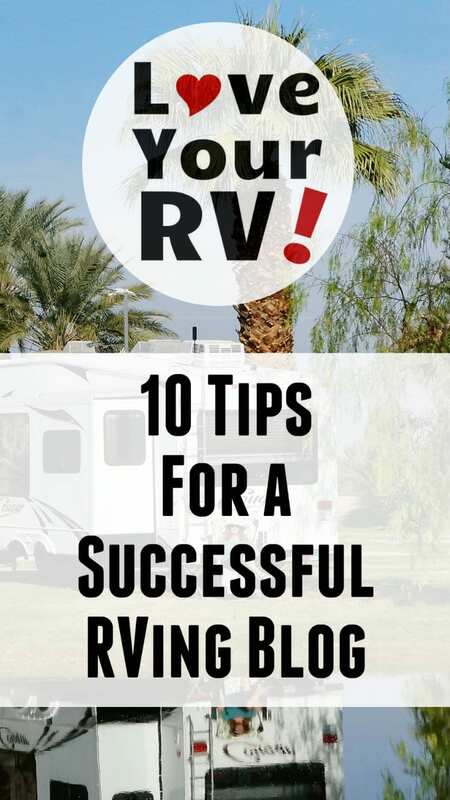 I believe the number one way to grow and sustain a successful RVing blog is by providing value to the reader. Other than pure entertainment reasons, most people are looking to solve a problem or searching out tips/advice. You can have the best marketing, thumbnails, titles, featured images, etc. but with out backing it up with solid content folks will just visit once and bounce away. 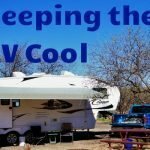 When I started RVing as a raw newbie, the first thing I did was head to blogs, forums, and YouTube to learn and soak up as much knowledge as possible. Those websites that provided valuable information got a bookmark or subscription and a return visit. The aim so to get people to return over and over and hopefully share your blog with others. The best scenario is if a friend recommends your blog to another friend because you have helped them out. Being disappointed in not having a blog instantly grow and become wildly successful is a big reason people pack it in. 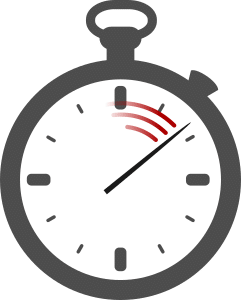 A few blogs will be lucky and blast off in a few months, but the norm for most of us is a slow slog usually taking years. You can see from my blogs growth chart it’s been years of slow growth year after year to achieve success. You’ll also notice peaks and valleys. They are caused by the seasonal nature of RVing. If I had given up during the declines, I would have missed the next up cycle. Patience is the key. 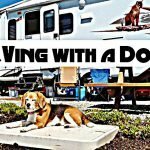 Another reason many RVing blogs fail is inconsistency in putting out content. I’ll use the analogy of making a big ball of snow for a snowman. As you roll, it gets a little bigger. To roll your blog snowball, you need to publish. Each piece of content published gives the ball a little push. With consistent pushes, the blog ball starts to pick up its momentum and grows quickly. However, stop the regular nudges, and the blog growth ball comes to rest and stagnates, then takes a bunch of pushes just to get going again. How often to publish depends on you and the content. For me, I try to post at minimum once a week and average 6 to 8 a month. This post is number 461 since I started in December of 2012. Not bad! Your unique style and personality is your biggest asset. Don’t try and be like other bloggers. Folks online these days can spot copycats seeking to be something they are not a mile away. 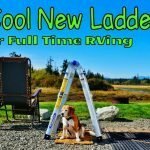 I, for the most part, avoid reading other RVer blogs. This way I’m forced to come up with my own, hopefully fresh, spin on a topic. I still read scads of blogs and watch a ton of videos often picking up tips to make my content better. However, they are usually on subjects unrelated to RVing. 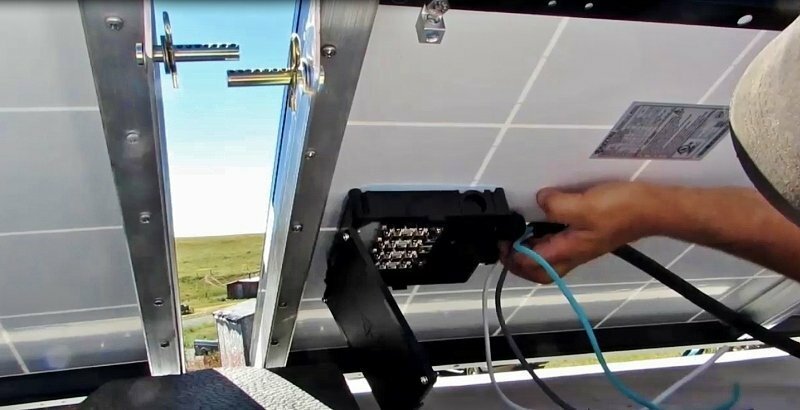 The only time I check out other RVing content is if I’m after a particular piece of knowledge, often when I’m repairing something on the rig. Of course, if the other blogs content helps out I make sure to mention and link to it in any post I put out. Producing great content is hard but in my mind has to be number one on the to-do list. It’s easy to get caught into a trap of working hard on the blog but spending far too much time fiddling with the website itself. Every once in a while I find myself getting overly caught up in analyzing website analytics numbers, checking revenue or tweaking the look and feel of the site. It’s easy to spend so much time doing other things that there is little time to actually produce a new blog post. You can have the most beautiful and finely tuned website on earth but if the content is lacking it will go nowhere. 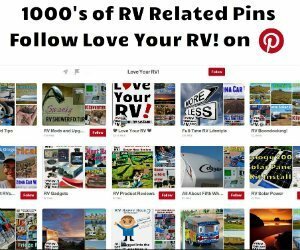 Some of the most useful and shared pages of RV related content out there aren’t at all stylish and look dated, but are always recommended. I try to make my site clean looking, easy to navigate and quick loading. Once a year I take a week or so and deep dive into it sometimes updating the theme, fonts, colors or trying out new features. But once I’m done, I’m done. I leave it alone and concentrate strictly on the content, except for making sure the software gets updates and security patches as they come out. For me, the most important piece of email in the Inbox is a note from a reader or a notification of a comment. If someone has taken their time to engage with my content, I want to get back to them as quickly as I can. Each morning the first thing I do after making sure my blog is still up and running is to answer everyone who has personally contacted me or commented on a social media piece. Then I try throughout the day to do the same. It’s old advice, but I try to treat people the way I would like to be treated. If I asked a question and was never answered, I’d be much less likely to follow that person or engage again. It’s foolish to spend so much time trying to attract blog followers then lose them due to not responding to an inquiry promptly. I know it must not always be the case with many blogs as I get so many people thanking me for a quick reply. Any feedback even negative feedback is always helpful. My advice: Rather than get twisted up by a negative comment try to figure out where that person is coming from and do they maybe have a valid point. It’s hard to hear sometimes, but for every person that makes a negative comment, there are likely ten times as many silently agreeing. Of course, there are just straight up trolls that should be ignored. Engaging is a futile exercise and precisely what they are looking for. The feedback I love the best is when someone suggests a topic for you. Often it’s something I would never have thought of writing about but turns out to be a valuable and popular piece of content. As you grow, keep in mind the questions readers are asking most often and turn the answers into blog posts. I’ve found a monthly newsletter to be a valuable way of connecting with my followers. It gives me a chance to touch base on a regular basis and update them on recent content they may have missed. Some say email is dead, but each month I get thousands of newsletter opens. It’s good insurance against one of my other blog traffic sources drying up such as dropping in search engine rankings or a social media site changing their algorithm. Multiple sources of blog traffic is a healthy thing. Also in the newsletter format; I can publish extra, exclusive content to my top fans and share a little more personal info about myself. So called Social Media websites and apps like Facebook, Pinterest, Instagram, Twitter are terrific places to connect with RVers and share your content to. The trick is figuring out which ones work best for your personal style and content type. To build up a social following takes lots of effort. So, rather than spread yourself too thin, it’s better in my eyes, to concentrate on the one or two that drive the most traffic back to my blog. For some, that’s Facebook, for others it may be Instagram or Pinterest. They’re not all the same in the way the audiences interact with them. Find the ones that suit you. 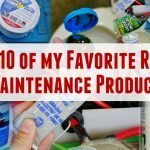 For me, being a blog full of how-tos, RV tips and product reviews YouTube and Pinterest have worked out best. These days the internet is crammed full of blogs and other websites/apps all vying for the web surfers attention. To stand out, cohesive branding is extremely helpful. To create and maintain a brand it’s important to stick with a color scheme and set of logos/thumbnails the viewer can easily identify. They may not easily remember website names however the brand will slowly stick with them. If logos and colors are consistent across all content channels and media potential followers can easily identify with you. If you have provided good value in the past, they are more likely to check you out again and slowly come to trust your content.